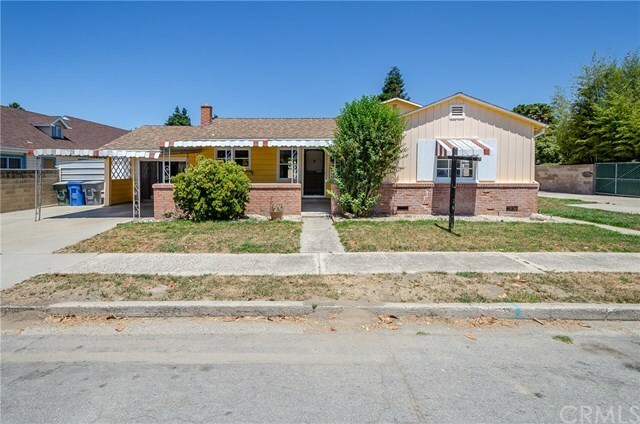 Two (2) Units located in the heart of Arroyo Grande Village just one block from Heritage Square Park and a few blocks from Old Town Arroyo Grande! Zoned for business and residential use, this property provides multiple options! Never used as a rental, no rental info available, however, local rents were considered to be $2000.00 for main home $1700. For one bedroom with multiple other income potential uses. The 1646 sq. foot main home was built 1948 features a covered patio in both the front and rear! The living room and kitchen are open and offer ample space. This home is 2 bedrooms with one bedroom offering a bonus room which could offer many functions use it as an office, nursery, or expansive closet storage room! The hall bathroom offers both a tub and shower. Off of the kitchen is another bonus room with wood burning stove and laundry room plus another bathroom offering its own shower! Main home exits into a private back yard area! The750 square foot second unit was built 1985 is above the garage and is very open, bright and inviting. The bedroom is extra-large with a huge walk in closet and en suite bathroom! The garage below offers a laundry and bathroom area as well! Flat usable lot offers extensive off street parking for RVâs, boats, or other vehicles! No way to describe all this property has to offer! Run a business in one, live in the other, live in one rent the other, many options! Call to see today!